My studio is not your typical home studio, in that its a 24/7 ready studio which is the entire extension on the back of the house as many of my references will testify. It is heated and also has air conditioning and offers a very comfortable shooting environment. It also has great natural light and options for any style of shoot with over 40 different backdrops from traditional solid paper rolls to hand painted canvas to printed backdrops from quirky to fantasy to fine art. 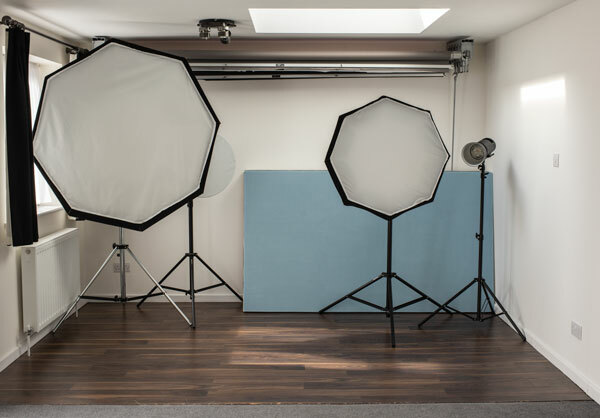 Lighting and modifiers wise are what you would expect to find in any commercial high street studio. 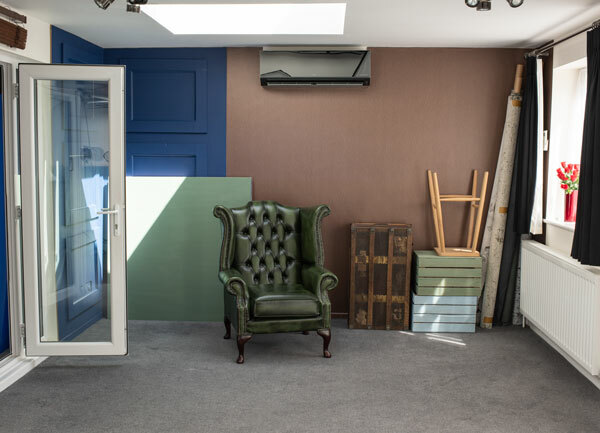 The studio also has a wind machine, chesterfield armchair, posing stool and much much more and a new custom built “L” shape Corner Set, made of wooden panelling for texture, wallpapered and vintage colour toned Foamex boards and also has an Alexa Echo (with prime music) so you can listen to your own favourite music during the shoot. Models comfort is taken to the next level at my studio. I pride myself on my hospitality as much as I do my photography. Before each shoot, dietary requirements are checked and there will be plenty of refreshments and snacks on hand during the shoot duration. There are also clean dressing gowns and disposable slippers available on each shoot and there are four draws of basic model shoot items, i.e. cotton wool pads, make-up remover, nail glue, hair clips and much more in case you have forgotten/run out of any items. You have the privacy of the upstairs guest room with its large antique dressing table and mirrors for clothing changes/makeup with fresh towels made available to you also. As well as the studio, I also have a unique prop room which is available to everyone on shoots.